A paraplegic boy from Russia visited the Monastery with his parents from the 21st to the 22nd. He had never walked in his life! In his mind he had the thought, however. He was a law student with honors! 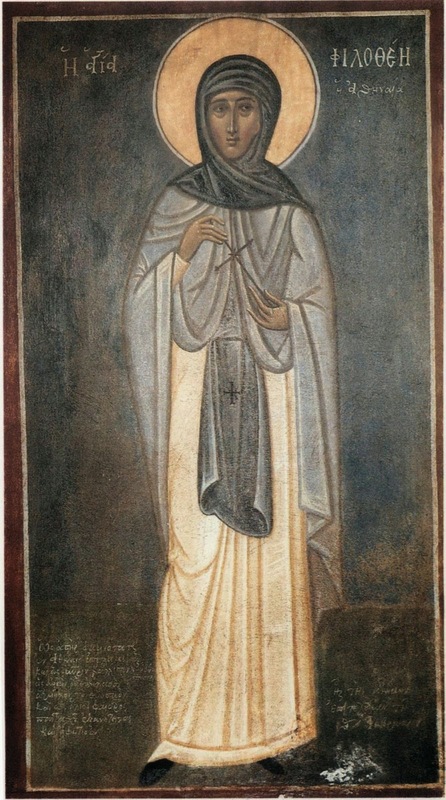 He venerated the holy bodies of the Saints, and the Abbess crossed him with the Holy Relics and told him: "The Saints have boldness and God listens to them! From you it is asked now if you have the faith to get up and walk!" At one point, his parents were in the Monastery gift shop, and the boy remained by himself in the Church, when after a short time, he got up, and not just this, but began to run in the courtyard and the other parts of the Monastery! The miracle had occurred! 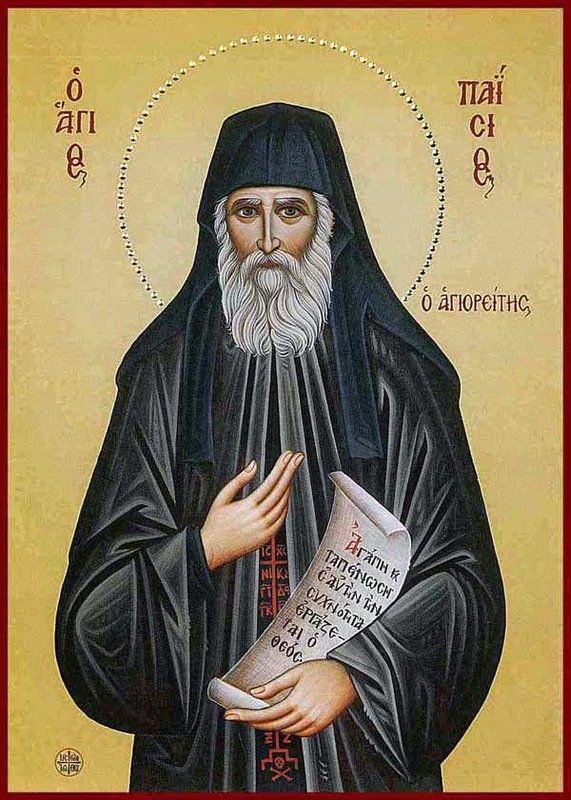 The young man who was healed said that, when he graduates from the Law School of Moscow, he will come by foot to Greece, to venerate at the Monastery! We should seek that the will of God be done. This is the most beneficial, the safest way for us and for everyone to pray. Christ will give us all riches. When there is even a little egotism, however, nothing occurs. When God does not give us something which we are persistently asking for, He has His reason. God has His "secrets". If you do not show obedience (to your priest or spiritual father), and you don't have humility, the prayer (i.e. "Lord Jesus Christ, have mercy on me") does not come, and there is a fear of delusion. The prayer should not become chore. Pressuring can bring opposition within us, and cause something bad. Many have sickened with the prayer, because they said it with pressure. And also, of course, when you make it a chore. But this isn't healthy. There is no need to gather specifically to say the prayer. You don't need any effort when you have divine eros. Wherever you are, on a stool, on a chair, in the car, everywhere, on the road, in school, in the office, at work, you can say the prayer, the "Lord Jesus Christ, have mercy on me", gently, without pressure, without asphixiation. Meaning in prayer comes not from length of time, but from the state. You may only pray for five minutes, but they should be offered to God with love and longing. One can pray the whole night, and this five-minute prayer can surpass it. This is a mystery, of course, but this is how it is. "In this time of fasting and prayer, brethren, let us with all our hearts forgive anything real or imaginary we have against anyone. May we all devote ourselves to love, and let us consider one another as an incentive to love and good works, speaking in defense of one another, having good thoughts and dispositions within us before God and men. In this way our fasting will be laudable and blameless, and our requests to God while we fast will be readily received." -St. Gregory Palamas, excerpt from Homily Seven: "On Fasting"
Please forgive me everyone, and may God forgive us all! In these words of the Lenten psalm, we Orthodox Christians, the New Israel, remember that we are in exile. For Orthodox Russians, banished from Holy Russia,2 the Psalm has a special meaning; but all Orthodox Christians, too, live in exile in this world, longing to return to our true home, Heaven. Weak and forgetful, even in the midst of the Great Fast we live as though Jerusalem did not exist for us. We fall in love with the world, our Babylon; we are seduced by the frivolous pastimes of this "strange land" and neglect the services and discipline of the Church whi(souch remind us of our true home. Worse yet, we love our very captors - for our sins hold us captive more surely than any human master - and in their service we pass in idleness the precious days of Lent when we should be preparing to meet the Rising Sun of the New Jerusalem, the Resurrection of our Lord Jesus Christ. There is still time; we must remember our true home and weep over the sins which have exiled us from it. 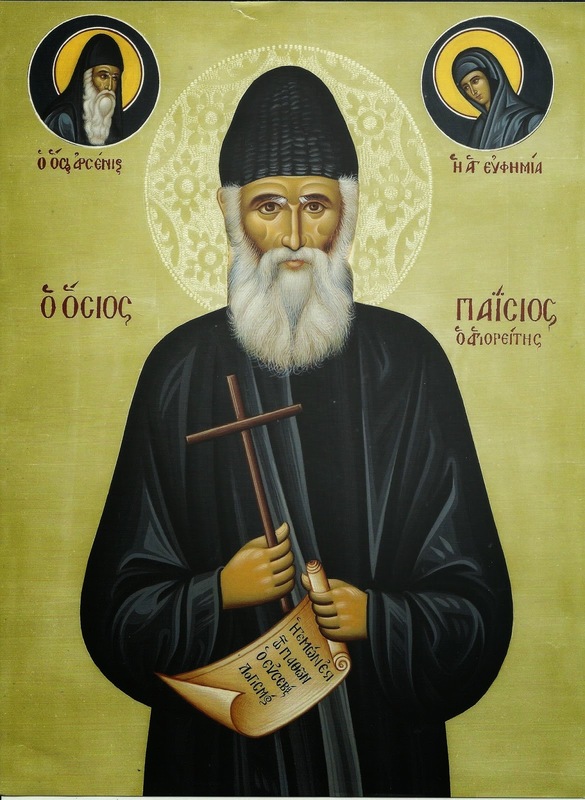 Let us take to heart the words of St. John of the Ladder: "Exile is separation from everything in order to keep the mind inseparable from God. An exile loves and produces continual weeping." Exiled from Paradise, we must become exiled from the world if we hope to return. 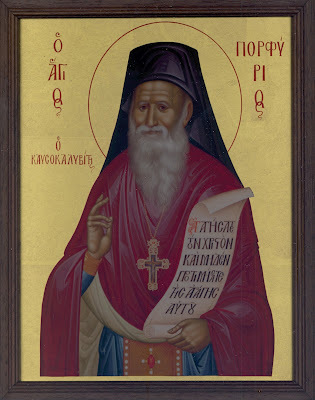 For a fuller commentary on this most beautiful Psalm and fitting hymn for Triodion, see the following talk by Fr. Thomas Hopko. "Theology will not suit mourners, for it is of a nature to dissolve their mourning. For the theologian is like one who sits in a teacher’s seat, whereas the mourner is like one who spends his days on a dung heap and in rags. That is why David, so I think, although he was a teacher and was wise, replied to those who questioned him when he was mourning: ‘How shall I sing the Lord’s song in a strange land?‘ —that is to say, the land of passions." He Who accepted the Cross for my sins. For all the many evils that I have done, and I stand in sadness. As you have become for many an Intercessor who comes close to them. And I hope in you, that you will entreat for me. The Six Psalms (in Greek, Hexapsalmos) is one of the most important parts of Orthros. It is “a time when all should put aside other thoughts, stand quietly, and concentrate on these penitential prayers.”1 Truly, it is one of the holiest moments in the Orthros service. These Psalms are a summary of the Christian life, highlighting the sorrow that we so often meet along the way to our eternal joy. There is also a tradition in the Church which says the Six Psalms will be read to each of us by our guardian angels at the Last Judgment, and during the time of the reading the whole world will be judged. Glory to God in the highest, and on earth peace, good will among men. Thrice, with the sign of the Cross and a bow from the waist each time. 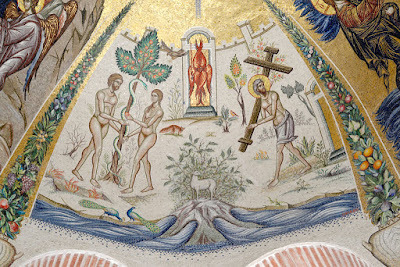 Thrice, with the sign of the Cross, but without bows***. O Lord God of my salvation, by day have I cried and by night before Thee. Let my prayer come before Thee, bow down Thine ear unto my supplication. For filled with evils is my soul, and my life unto hades hath drawn nigh. I am counted with them that go down into the pit; I am become as a man without help, free among the dead. Like the bodies of the slain that sleep in the grave, whom Thou rememberest no more, and they are cut off from Thy hand. They laid me in the lowest pit, in darkness and in the shadow of death. Against me is Thine anger made strong, and all Thy billows hast Thou brought upon me. Thou hast removed my friends afar from me; they have made me an abomination unto themselves. I have been delivered up, and have not come forth; mine eyes are grown weak from poverty. I have cried unto Thee, O Lord, the whole day long; I have stretched out my hands unto Thee. Nay, for the dead wilt Thou work wonders? Or shall physicians raise them up that they may give thanks unto Thee? Nay, shall any in the grave tell of Thy mercy, and of Thy truth in Thy destruction? Nay, shall Thy wonders be known in that darkness, and Thy righteousness in that land that is forgotten? But as for me, unto Thee, O Lord, have I cried; and in the morning shall my prayer come before Thee. Wherefore, O Lord, dost Thou cast off my soul and turnest Thy face away from me? A poor man am I, and in troubles from my youth; yea, having been exalted, I was humbled and brought to distress. Thy furies have passed upon me, and Thy terrors have sorely troubled me. They came round about me like water, all the day long they compassed me about together. Thou hast removed afar from me friend and neighbor, and mine acquaintances because of my misery. Bless the Lord, O my soul, and all that is within me bless His holy name. Bless the Lord, O my soul, and forget not all that He hath done for thee, Who is gracious unto all thine iniquities, Who healeth all thine infirmities, Who redeemeth thy life from corruption, Who crowneth thee with mercy and compassion, Who fulfilleth thy desire with good things; thy youth shall be renewed as the eagle’s. The Lord performeth deeds of mercy, and executeth judgment for all them that are wronged. He hath made His ways known unto Moses, unto the sons of Israel the things that He hath willed. Compassionate and merciful is the Lord, longsuffering and plenteous in mercy; not unto the end will He be angered, neither unto eternity will He be wroth. Not according to our iniquities hath He dealt with us, neither according to our sins hath He rewarded us. For according to the height of heaven from the earth, the Lord hath made His mercy to prevail over them that fear Him. As far as the east is from the west, so far hath He removed our iniquities from us. Like as a father hath compassion upon his sons, so hath the Lord had compassion upon them that fear Him; for He knoweth whereof we are made, He hath remembered that we are dust. As for man, his days are as the grass; as a flower of the field, so shall he blossom forth. For when the wind is passed over it, then it shall be gone, and no longer will it know the place thereof. But the mercy of the Lord is from eternity, even unto eternity, upon them that fear Him. And His righteousness is upon sons of sons, upon them that keep His testament and remember His commandments to do them. The Lord in heaven hath prepared His throne, and His kingdom ruleth over all. Bless the Lord, all ye His angels, mighty in strength, that perform His word, to hear the voice of His words. Bless the Lord, all ye His hosts, His ministers that do His will. Bless the Lord, all ye His works, in every place of His dominion. Bless the Lord, O my soul. O Lord, hear my prayer, give ear unto my supplication in Thy truth; hearken unto me in Thy righteousness. And enter not into judgment with Thy servant, for in Thy sight shall no man living be justified. For the enemy hath persecuted my soul; he hath humbled my life down to the earth. He hath sat me in darkness as those that have been long dead, and my spirit within me is become despondent; within me my heart is troubled. I remembered days of old, I meditated on all Thy works, I pondered on the creations of Thy hands. I stretched forth my hands unto Thee; my soul thirsteth after thee like a waterless land. Quickly hear me, O Lord; my spirit hath fainted away. Turn not Thy face away from me, lest I be like unto them that go down into the pit. Cause me to hear Thy mercy in the morning; for in Thee have I put my hope. cause me to know, O Lord, the way wherein I should walk; for unto Thee have I lifted up my soul. Rescue me from mine enemies, O Lord; unto Thee have I fled for refuge. Teach me to do Thy will, for Thou art my God. Thy good Spirit shall lead me in the land of uprightness; for Thy name’s sake, O Lord, shalt Thou quicken me. In Thy righteousness shalt Thou bring my soul out of affliction, and in Thy mercy shalt Thou utterly destroy mine enemies. And Thou shalt cut off all them that afflict my soul, for I am Thy servant. Lord, have mercy. Twelve times. 1. V. Potapov. The Six Psalms and the Extinguishing of Candles. 2001. 2. Abp Benjamin of Nizhegorod and Arzamas. The New Testament, or Explanations of the Church, the Liturgy, and of all Church Services and Furnishings. St Petersburg, 1908. 3. Holy Transfiguration Monastery. The Psalter According to the Seventy. Boston, 1974. 4. Protopsaltes Georgios Biolakes. “The Daily Diataxis.” The Protheoria of the Typikon of the Great Church of Christ. 1888. Trans. Fr Konstantinos Terzopoulos, 2008. 5. Fr John Whiteford. “Daily Matins (Outside of Lent) As a Reader Service.” The Online Reader Service Horologion. 2002. 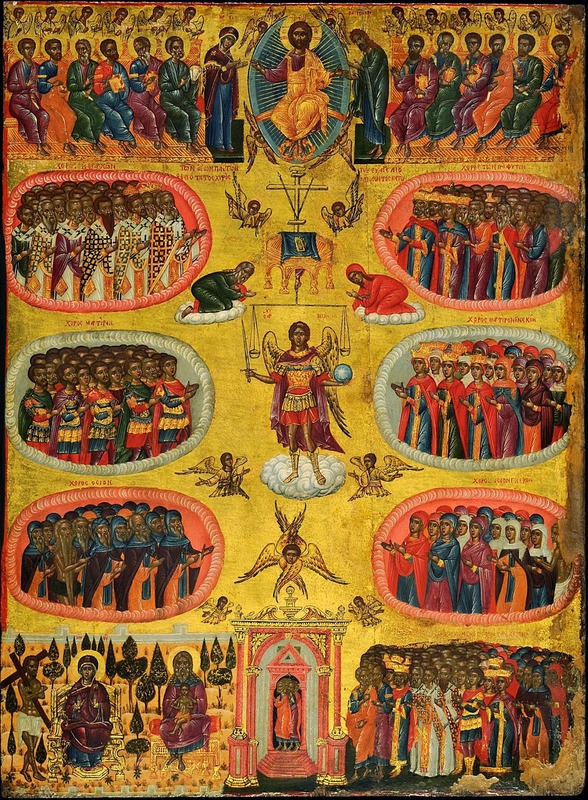 For a prophecy by Elder Ambrose of Dadiou that corroborates the Church tradition linking the Six Psalms with the Last Judgment, see here. "Once," as Elder Iakovos Tsalikis related: "When I was a small child, I suffered a severe cold, as I was struck bed-bound with great shortness of breath and terrible pain in the left side of my chest. There was no doctor in the village, and our only refuge was God and His Saints. We had in our home a small silver icon of St. Charalambos--it was wonderworking--over 600 years old, and we had brought it from Asia Minor as a family heirloom. "Mother, I saw the hand of a Priest cross me and pat me on the head, and now I'm fine. It all passed." I even told her with such detail, even about the hair on the wrist, as I saw it. 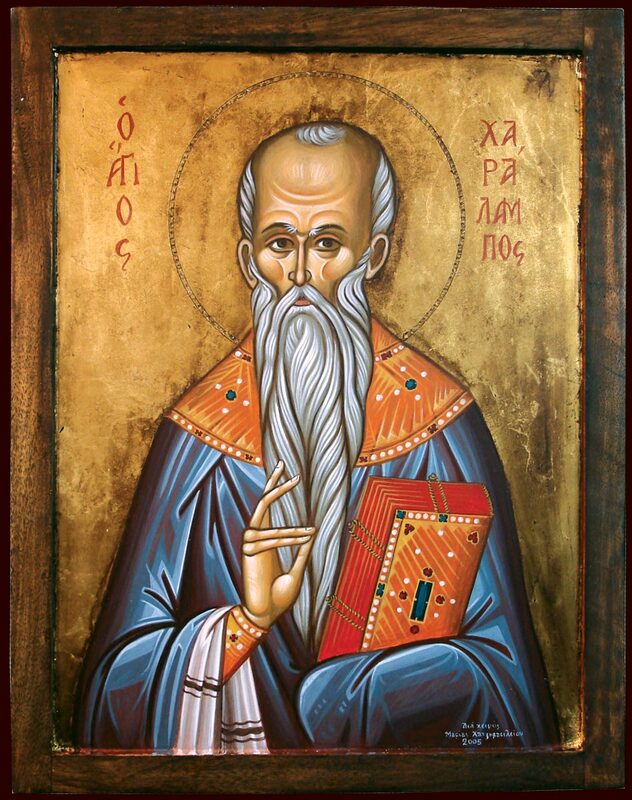 "My child," my mother said, "it was St. Charalambos, who came to heal you. 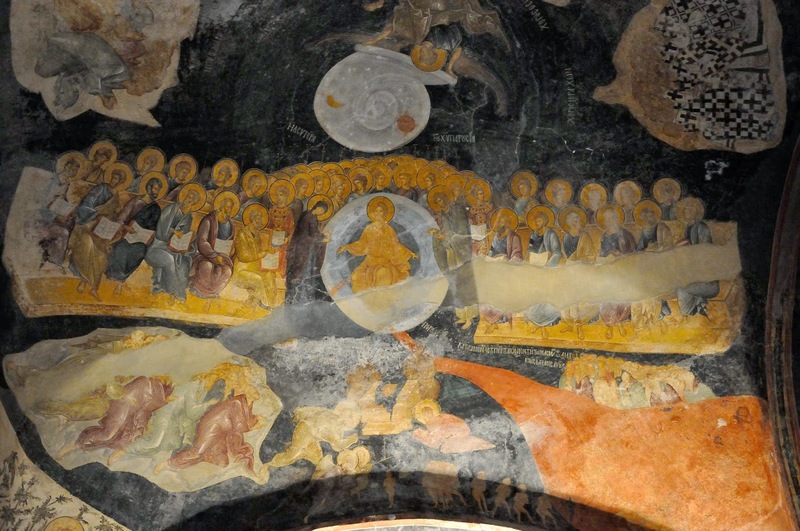 You should remember this day forever (it was the feast of the Holy Apostle Thomas) when the miracle happened, because you were dead, and resurrected." God is very near us, but also very high. In order for someone to have God bend to descend and remain with him, he must be humbled and repent. Then, the greatly-compassionate God, beholding his humility, lifts him up to the Heavens and loves him greatly. There is joy in heaven over the repentance of a sinner, says the Gospel. God granted man a mind to contemplate his fault, to repent and to seek forgiveness. The unrepenting man is a hard thing. He is very senseless, because he does not wish to repent, in order to eliminate the small hell that he is experiencing, which leads him to something worse, eternity. Thus, he is barren of the heavenly joys on earth, which continue in Paradise, near God, with the much greater joys, eternal ones. As long as man is far from God, he is outside of himself. Do you see, that the Gospel writes that the Prodigal Son "came to himself", saying: "I will go to my Father." In other words, when he came to his senses, when he repented, he said: "I will return to my Father." As long as he was living in sin, he was outside of himself, he was not in his right mind, because sin is irrational. 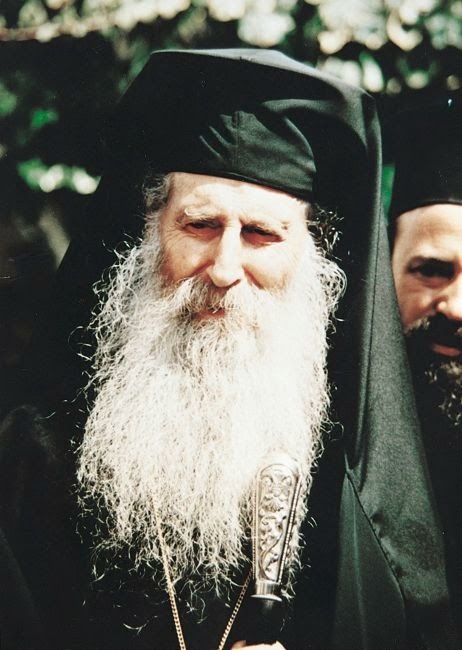 -Elder, Abba Alonios says: "If a man wishes, he can reach a divine measure from morning until the evening." What does he mean? The spiritual life does not desire time. In one second, one can be found in Paradise from hell, if he repents. Man is responsible. He can become an angel, he can become a devil. My, my, my, what power repentance has! It attracts divine Grace. A humble thought that a man brings to mind can save him. A prideful thought can come to his mind, and if he does not repent, death will find him, he is gone, he is lost. Of course, the humble thought must be followed by internal groaning, by internal contrition. Because the thought is a thought, but there is also the heart. The hymn says: "With all my soul and mind and heart...", I think, however, that the Abba here is thinking here of a more permenant state. It requires some time, in order for one to reach a good state. I err, I repent, and I am forgiven that instant. If I have a struggling spirit, slowly I will achieve a more stable situation, but until then, I can be swayed. -Elder, can an older person help himself spiritually? Yes, barely, for when someone gets old, he is granted the strength to repent, because all illusions flee. Formerly, because he had bodily strength and nothing was difficult for him, he did not understand his weaknesses and he thought that he was in a good state. Now that he has difficulties and grumbles, he is helped to understand that he is not well, that he is limping, that he must repent. If he spiritually utilizes the little remaining years of his life, and if he uses his experience that shows that most of the years of his life have passed him by, [he learns that] Christ will not leave him, He will have mercy on him. 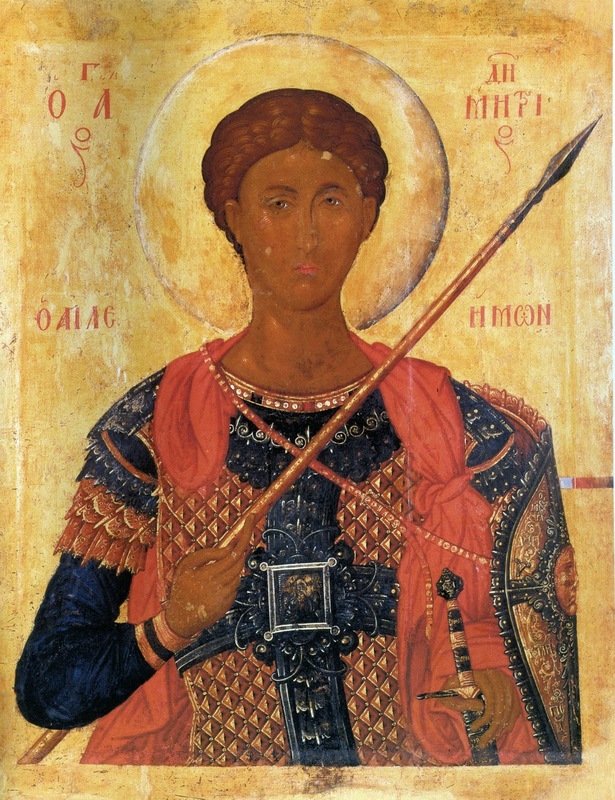 O faithful, let us praise with hymns and divine praises the Myrrhstreamer, who deposed the cruelty of the tyrant, and conquered the audacity of Lyaios, and preached Christ as God clearly, and let us cry out to him: Rejoice, O Martyr Demetrios. Rejoice, the joyous radiance of Saints. Rejoice, for you ascended to Heaven as one without a body. Rejoice you who bore the tortures of the tyrant. Rejoice, for your soul now dwells in Heaven. 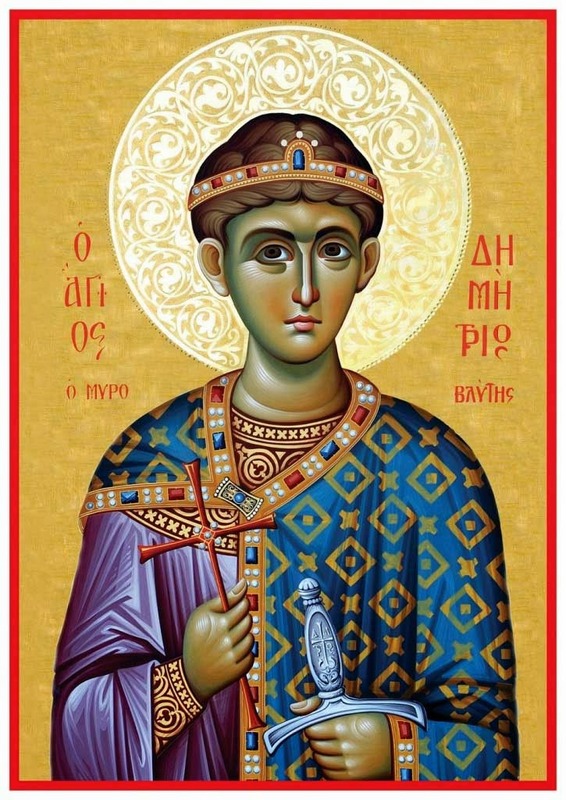 The divine Nestor, beholding himself in manliness, approached the king with boldness: “Your exceeding danger appears as an abomination to my soul. For I will put to death the godless Lyaios, crying out: Alleluia. Rejoice, for you overcame Lyaios in victory. Rejoice, you who bears divine zeal in your heart. Rejoice, for through you there is blotting out of sins. Rejoice, you who censured the mania of tyrants. Rejoice, you who offered your soul from its depths. Rejoice, for your beloved Istron you sent. Power from heaven then strengthened Nestor to fight, and he took up arms against the utterly strong Lyaios, and with swift hand, he struck him down as dead, and therefore cried out to the Savior, chanting: Alleluia. 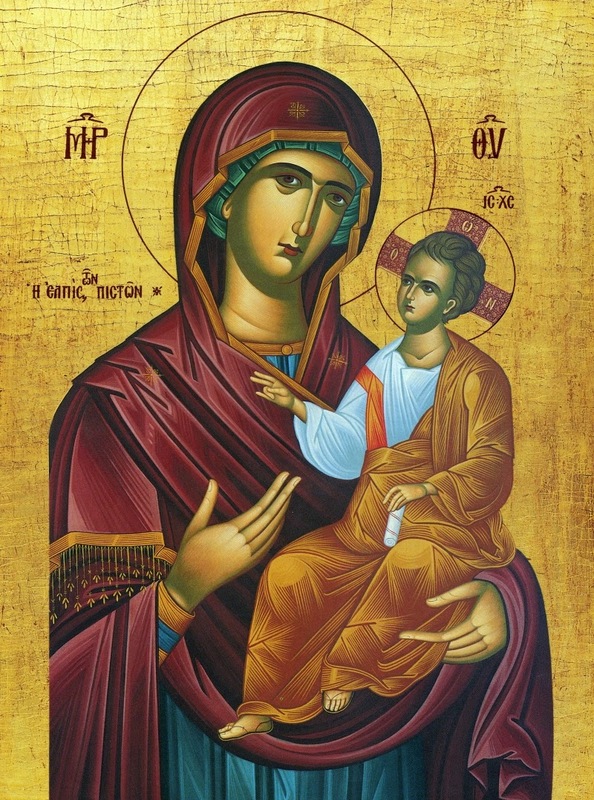 Rejoice, the irrevocable icon of traumas. Rejoice, for you grant sanctification to those who venerate you. Rejoice, for you censured the mania of the tyrant. Rejoice, for your body was pierced with spears. Rejoice, for you sanctified the whole world with your body. Having godless confusion and evil thoughts, the senseless king was enraged, beholding the Martyr not preaching the delusion of the idols. We, beholding the unjust slaughter of the Saint at his hands, cry out: Alleluia. Rejoice he who deposed the counsels of the evil ones. Rejoice, you who entered the land of the greatly-suffering Saints. Rejoice, you who walk together with the pure Seraphim. 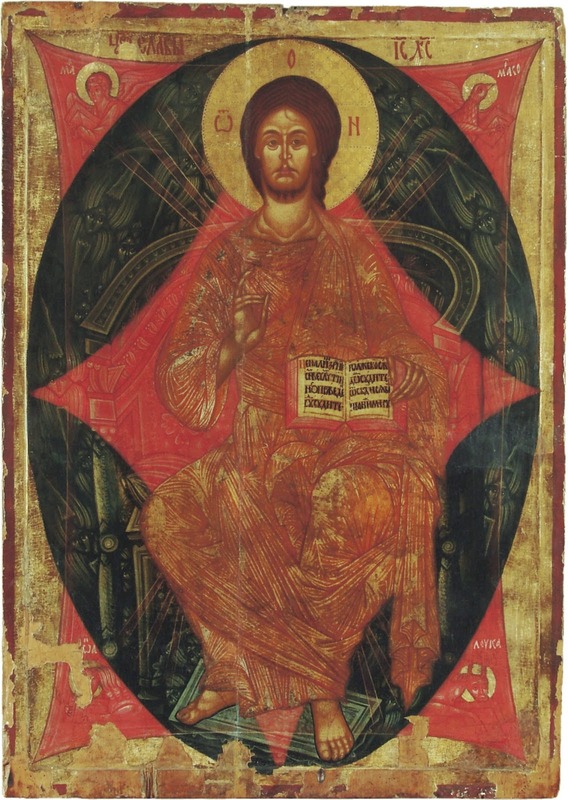 Rejoice, for you bore within the seat of divine thrones. 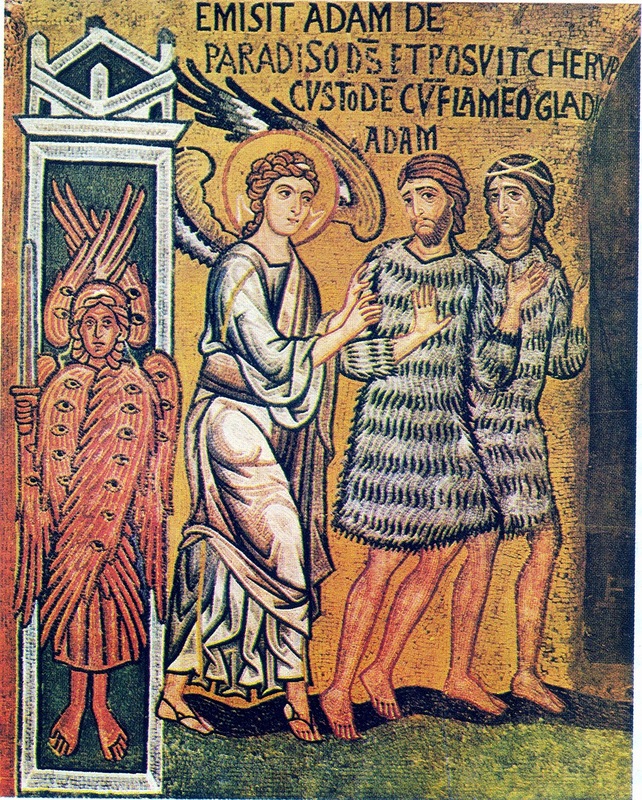 Rejoice, the most-wise fellow counselor with the Archangels. Rejoice, the radiant rejoicing of the Martyrs. 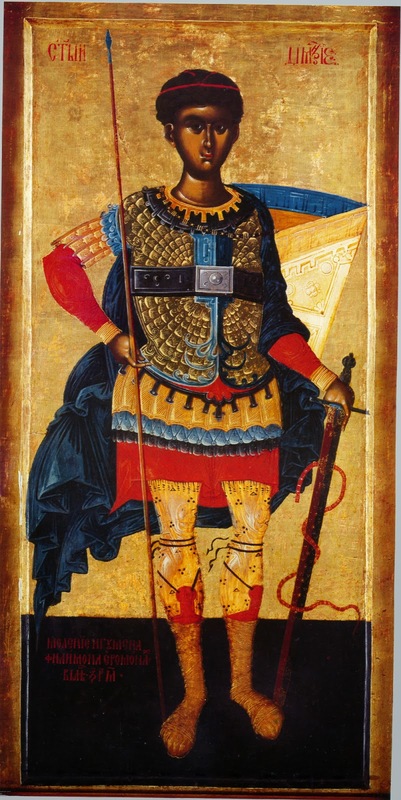 Perceiving Demetrios to be a God-bearer, the most fervent man hastened to be delivered through him from the terrible demon. And having touched his deliverance, he rejoiced in the Lord, crying out: Alleluia. Rejoice, he who did not bear stains of offenses. Rejoice, for your streams have become our own. Rejoice, for you dwell in the thrones of the Martyrs. Rejoice, our sun which shines upon the faithful. Rejoice, he who delivers all from the bonds of slavery. Rejoice for you ever dwell with those who praise you. The deluded became preachers of corruption of souls, as they hastened through Thessaloniki, performing idolatry and preaching atheism everywhere, as the Martyr left the tyrant like a mule, as he said: Alleluia. Rejoice, O Nestor, the splendid pride. Rejoice, you who granted corruption to Lyaios. Rejoice, you who secondly kept [St. Demetrios'] example. Rejoice, he who received incorruptible life through the sword. Rejoice, he who was preached throughout the world as one immortal. Rejoice, he who after death works wonders. 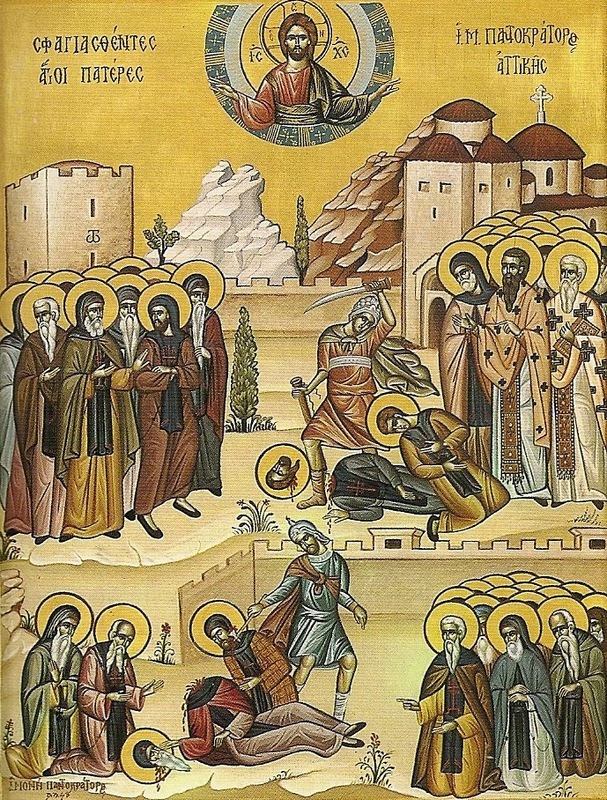 The holy dyad of Martyrs then passed on from this world, as the sacred Martyrs had greatly endured lawless murder. Therefore, those who behold this are astonished, and cry out to the Lord: Alleluia. Rejoice, you who ride throughout the world as one alive. Rejoice, for your soul is mixing with the Angels. Rejoice for they draw forth from your fragrant myrrh. Rejoice, ray of godly graces. Rejoice, you who were sanctified in your divine body. Rejoice, for you now dwell in the halls of the ever-memorable. Beholding a strange wonder, the idols were moved by the bravery of the martyrs. Therefore, he who now dwells on high gives bravery to those who dwell on the earth to take courage, and aim their arrows at the idols. To him we now cry out: Alleluia. Rejoice, for you desired the joyous things of Paradise. Rejoice, for you inhabit the dwelling-places of the pure. Rejoice, for you have come to dwell with the Saints. Rejoice, for you dwell in the spotless mansions of Paradise. Rejoice, for you trampled upon the delusion of the idols. You received every grace from heaven, O Martyr Demetrios, and preached paradoxically that the inaccessible God became man, being the Son of God. Therefore, to Him let us cry: Alleluia. Rejoice, the pinnacle of continence. Rejoice, you who after you were killed were led towards God. Rejoice, in whom the grace of the Trinity made its dwelling. Rejoice, the sharp sword against the faithless. Rejoice, you who drive away the mania of the tyrant. Rejoice, for you bore the shoots of many victories. 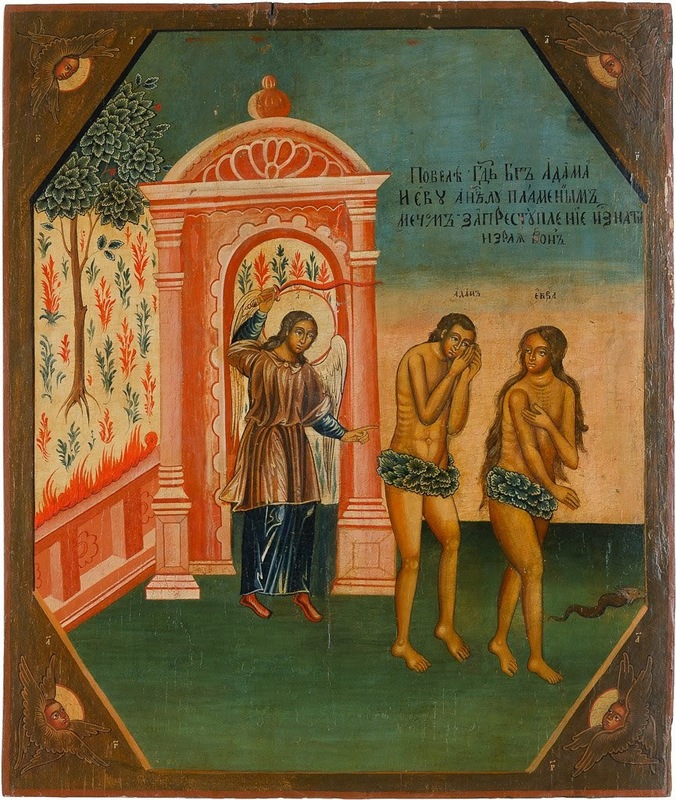 Saving the Orthodox from the delusion of the godless idols, you came straightaway, O Martyr, and you preached the Lord as perfect God to the deluded and idiotic tyrant, crying out to him: Alleluia. Rejoice the savior of the continuously hemorrhaged. Rejoice, for you are a pillar of graces. Rejoice, divine power, the casting-down of idols. Rejoice, chaste type of Christ. Rejoice, for your body received death. Rejoice, for you are a guide to the faithful. 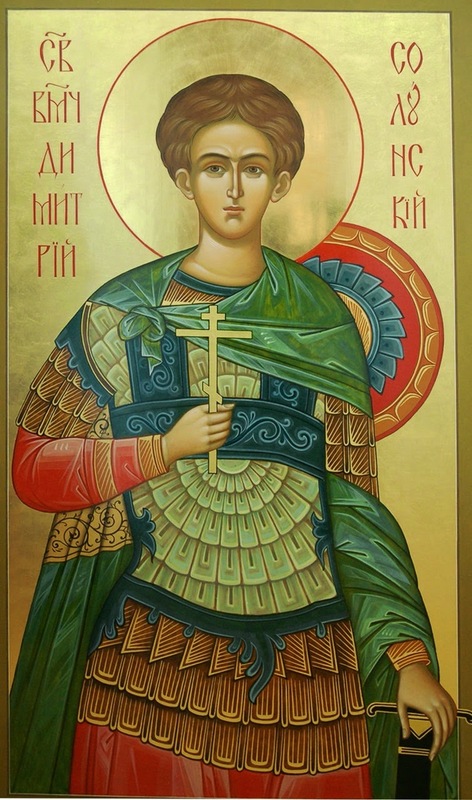 We your servants all offer funeral hymns at your grave, O Martyr, shedding tears and offering odes and psalms to you, for we are not at all worthy of what has been accomplished through, as befits your grave, but we cry out to the Savior: Alleluia. Rejoice, you who trampled upon the wiles of the evil one. Rejoice, for you trampled upon the rule of the idols. Rejoice, you who cast out the conceit of the tyrants. Rejoice, you who shook up the delusion of the godless one. Rejoice you who uprooted the danger of the idols from the earth. Rejoice, the salvation of the souls of those who approach you. 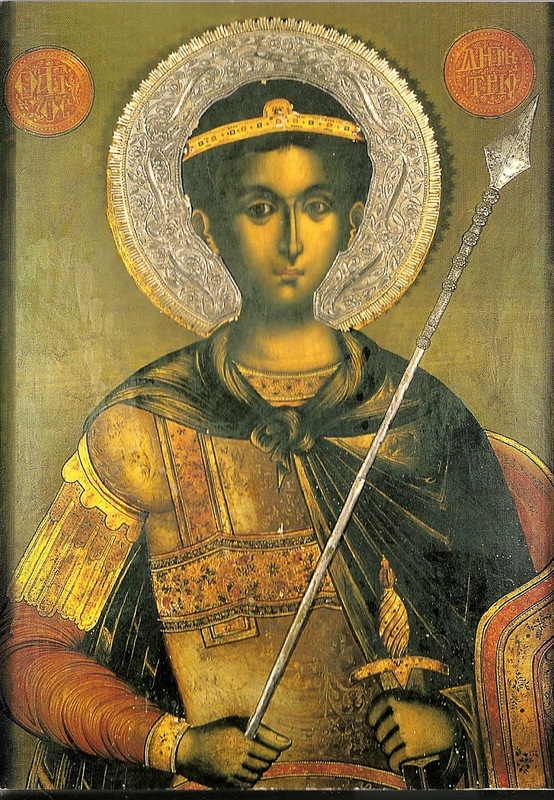 Bearing grace from above, O Demetrios, you drove out all the campaigns of the enemies. You preached Christ upon the heard as a steadfast hoplite of grace, and you cast down the idols, as you chant along with everyone: Alleluia. Rejoice, for through your strength the enemy was cast down. Rejoice, you who sent out Nestor with your strength. Rejoice, you who raged against the faithless in spirit. Rejoice, for if you left her, your city would be lost. Rejoice, you who put to death falsehood through your might. Rejoice, you who sows the mercy of your myrrh within all. O pair of Martyrs, who preached Christ as the surpassing Word before all, (3) receive these funeral hymn and odes, and deliver us from every danger, and the coming trial through your prayers, those who cry out to the Lord: Alleluia.